Carrot Dog Recipe - the BEST vegan hot dog, easy to make! Turning CARROTS into HOT DOGS?! Oh, yes we did! The carrot dog recipe is one of those ridiculous myths that you think will NEVER ever work. I mean, how the hell do you make a carrot taste like a hot dog?! 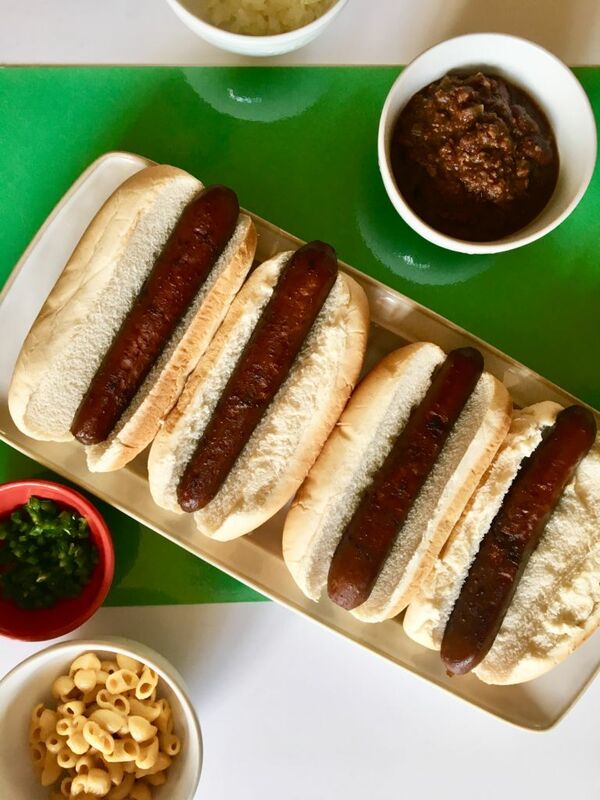 We wondered that too…until we took the leap and tried our hand at this elusive carrot dog recipe craze. And guess what: We’ve been hooked ever since. And please, please know I am not some health freak on a mission here telling you to waste your time preparing some sub-par vegetable substitute that’s only going to slightly kind of mayyybe resemble the hot dogs you once loved. 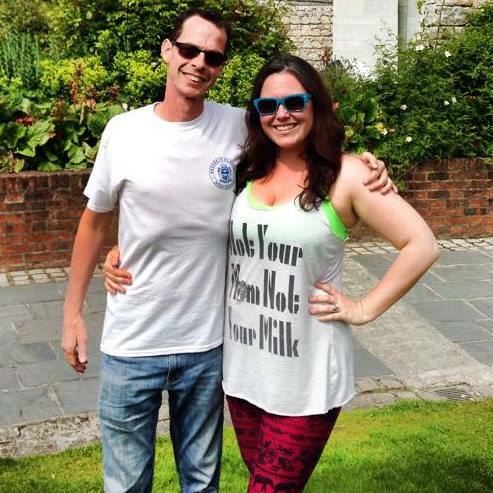 If you’ve spent any length of time with us here at Plant Power Couple, you know that is so not how we operate. No, my friends. This vegan carrot dog recipe is the real deal. But if this is your first time making or even hearing of carrot dogs, you might have to exercise some trust with us on this. I promise your skepticism will vanish with that first bite. At least, it did with mine, and I’m someone who was a pretty big fan of hot dogs in my omnivorous days. 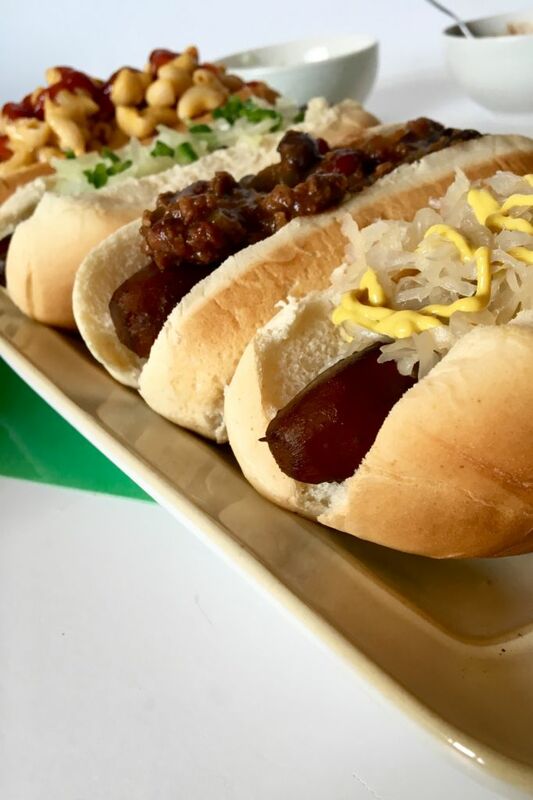 In fact, it was a big tradition for my dad and me to attend Dollar Dog Night at Phillies games during this time of year, so (as silly as this may sound to some), hot dogs are one of those foods with which I have a really strong emotional connection. We all have them, right? The weird but delicious tuna casserole your mom made every week, that chicken noodle soup you still crave every time it rains? That’s what hot dogs were to me, and that’s why I was super serious about finding a more ethical version that would still allow me to enjoy those awesome flavors I loved. It just so happens that I found this perfect vegan hot dog in this carrot dog recipe. Weird, but true, and oh so very good. First, you’ll peel and shape your carrots. We like to use our hot dog buns as a guide here. Cut them down to bun size, peel them, and use your peeler to”carve” your ends into a rounded shape. This is totally optional, but it does make these carrot dogs look even more creepily (or awesomely) like a classic ballpark dog. Next, you’ll boil ’em. 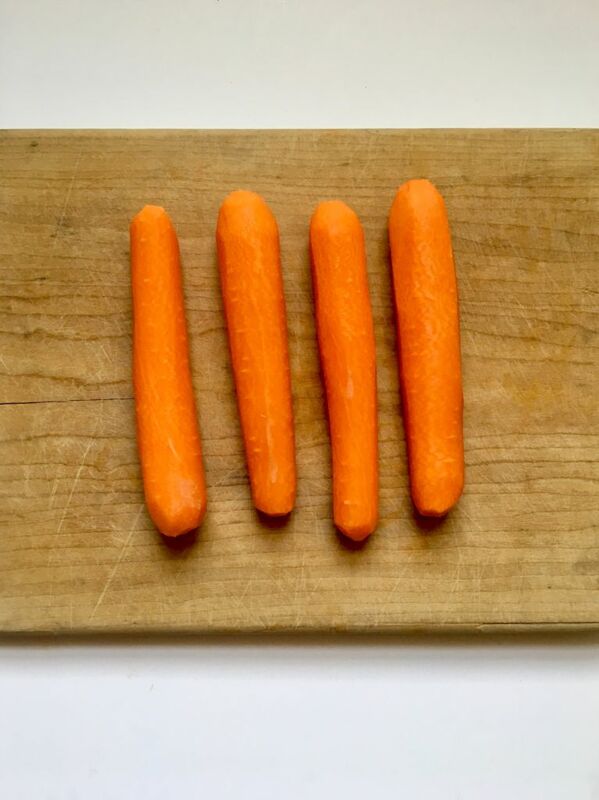 The time will depend on the thickness of your carrots, but it should be somewhere between 8 – 11 minutes. When you can put a fork in them with little resistance (but before they start falling apart), you’re good to go! From here on out, it’s pretty easy. You’ll mix up your marinade, pour it over the carrots, and let them sit in the fridge for 24 hours. This means you’ll need to plan a little in advance. When it’s time to cook them, you’ll brown ’em up in a sautee or cast iron pan with a few Tablespoons of the leftover marinade. Then, throw ’em in some buns and top them with alllll your favorite toppings. 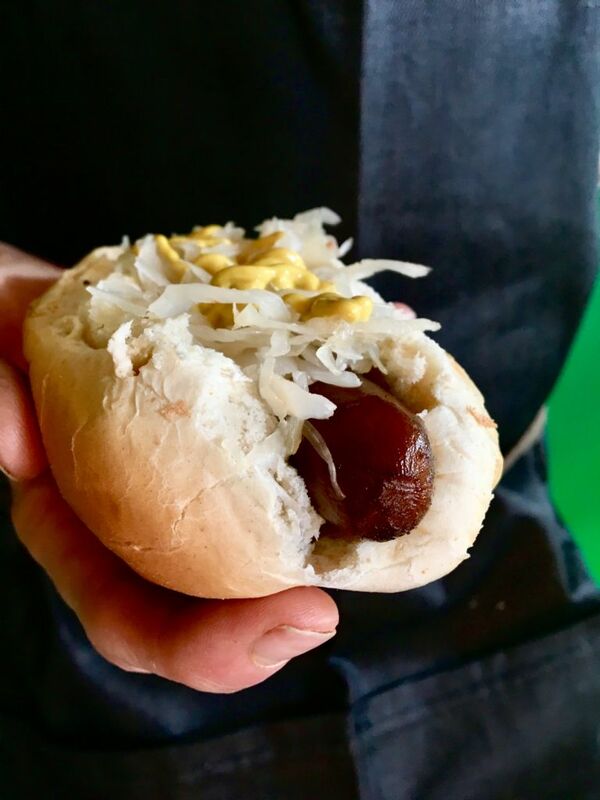 Go crazy here; one of the things we love about this carrot dog recipe is the how fun it is to top them. Watch us make this carrot dog recipe in 60 seconds! Or, hang out with us in the kitchen while we make them live! So, the only question left to ask yourself is: When are you going to make this epic vegan carrot dog recipe, and what fun delicious-ness are you going to top them with?! Whatever it is and whenever you try it, let us know! 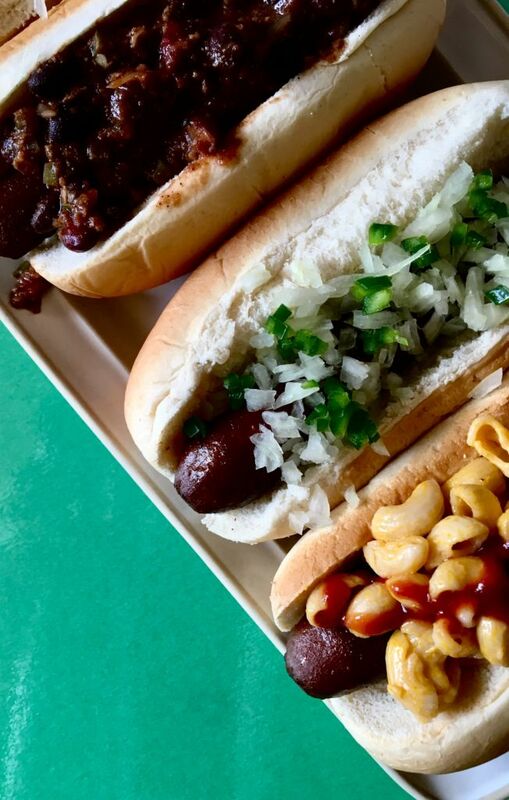 Tag us in all your carrot dog creation photos on Instagram (we’re @theplantpowercouple, with the ‘the’) or Facebook (just Plant Power Couple there). We cannot wait to hear what you think! Get a medium pot of water boiling. 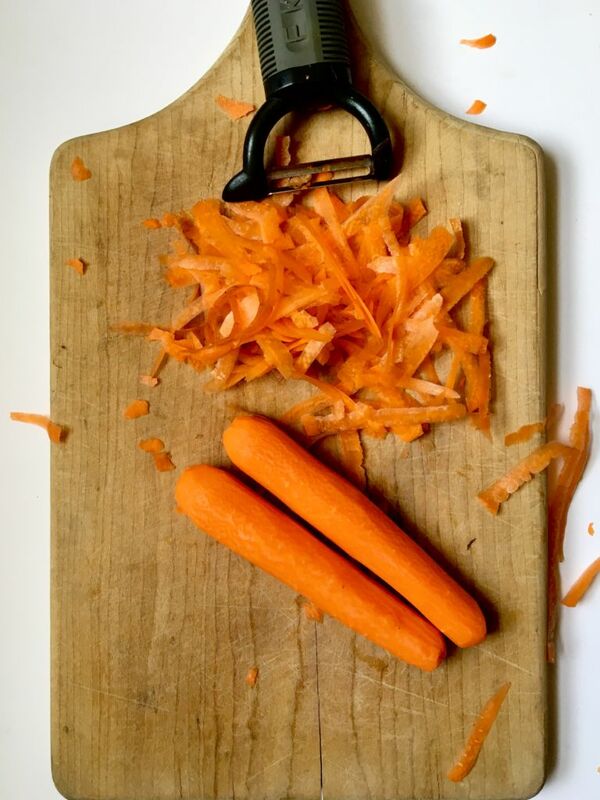 Peel your carrots and cut the ends off, so they are able to fit into the bun. We also like to use our peeler to round off the ends of the carrots, making them look more like hot dogs. Boil these carrots for about 9-15 minutes. The time will vary depending on the thickness of your carrots. When you can easily stick a fork in them (but before they're falling apart), they're ready. Remove carefully with tongs. While the carrots boil, make the marinade by whisking together all the ingredients in a shallow dish. Add your boiled carrots, cover, and set in the fridge to marinate for 24 hours. 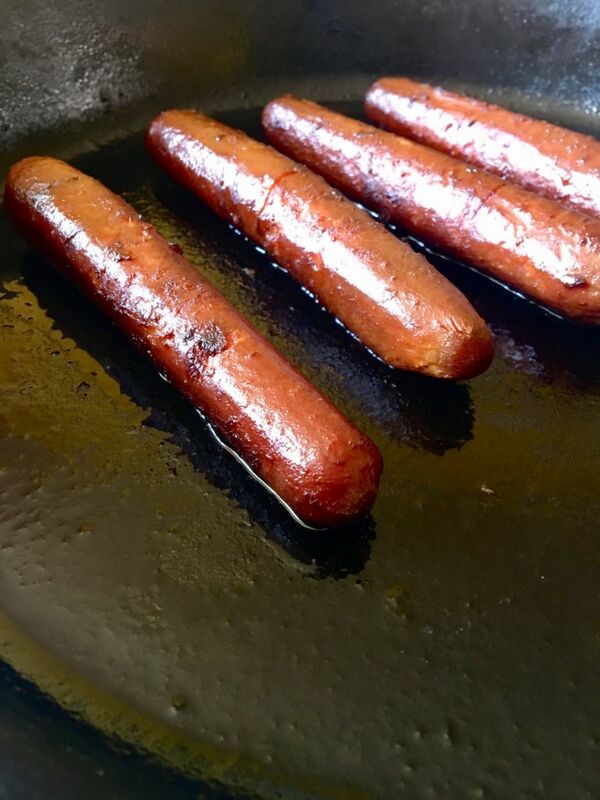 Pull your dogs out of the fridge and heat a large cast iron skillet over medium-high heat. Add a Tbsp of refined coconut oil and allow it to melt. Add your carrots carefully along with 2-3 Tbsp of the marinade and sauté them for about 5 – 10 minutes, rolling them around often. You want the outsides to get a little charred, so it really looks like a hot dog. Serve in a bun with your favorite toppings! Go wild with them! If you dig this recipe, you'll probably love our Carrot Dogs in a Blanket recipe. Check it out; they're perfect for parties! What a great recipe! Can you tell me if they freeze well, either before or after cooking them? Thank you! Hi, Shawna, thanks so much! Hmmm, we haven't attempted to freeze them, but I would be concerned about the texture of the thawed carrot. If you do give it a try, let us know how it goes! I really liked these! Thanks for the great recipe! I might try baby carrots to be like cocktail weinners. So happy to hear you enjoyed them, yay! We actually have a recipe like this using baby carrots wrapped in puff pastry. Here's the link! They are CRAZY addictive! 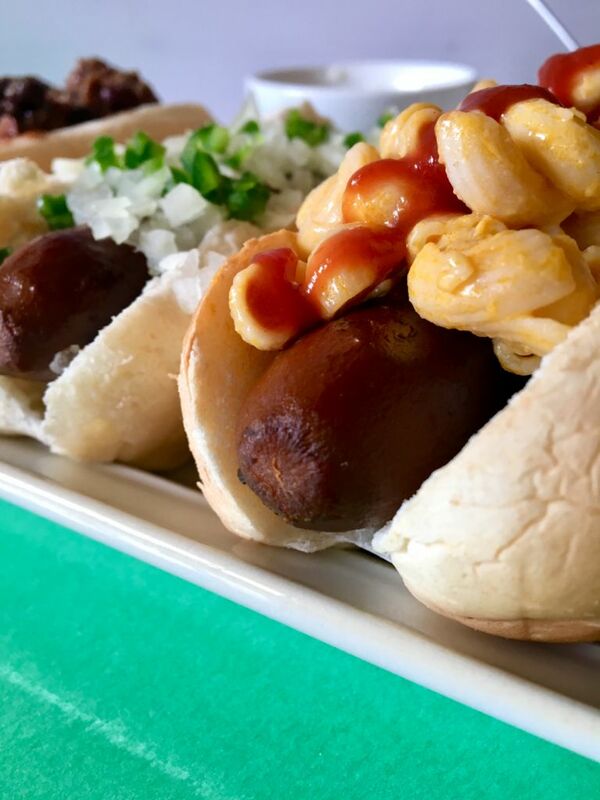 Pingback: Vegan 4th of July Recipes: Appetizers, Drinks, Desserts, Salads & more! Could you use baby carrots and make little smokie BBQ sausages like the appetizer? Hey, Nan! You can absolutely use baby carrots! We even made them into little carrots in a blanket in this recipe that might help you!